Silicon Valley is not only a treasure trove of technological innovations. It is also the home of some of Bay Area’s best museums and art galleries. Here are some of our absolute favorites. The Tech is the best place in Silicon Valley for those who are unfamiliar with the region’s main industry but would love to dive deeper. This interactive museum’s variety of exhibits shine the spotlight on different fields of science and innovation, from the cosmos to how your body works. In addition to the exhibits, The Tech also opens its doors to guests who are looking for new experiences. For instance, their Birdly simulator will have you soaring through Manhattan and experience the thrills of bird flight. Visit The Tech in Plaza de Cesar Chavez in Downtown San Jose. For hours and ticket prices, click this link. Situated within the Stanford University campus grounds is the historic Cantor Arts Center, which opened the same year the university did. It was renamed in 1999 after Iris and Gerald B. Cantor, the couple who donated a significant portion of Cantor Arts Center’s treasure. To date, the museum is home to almost 40,000 artworks that span a total of 5,000 years. To effectively showcase this prized collection, Cantor Arts Center is divided into 24 galleries. In addition to their permanent exhibits, the arts center also opens its doors to special exhibitions throughout the year. Cantor Arts Center is open all year round and offers free admission. Plan your visit accordingly by visiting this page. 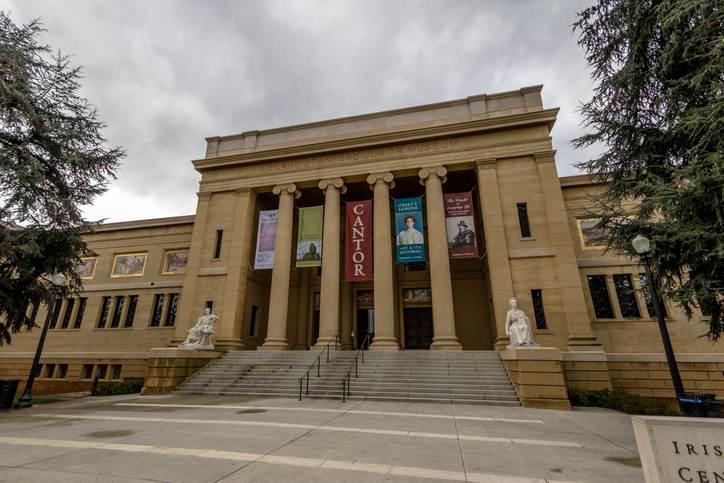 One of leading museums for modern and contemporary art in the Bay Area, the San Jose Museum of Art (SJMA) is not only a must-visit attraction− it’s a revered institution. Every year, the museum organizes a well-balanced mix of permanent and temporary exhibitions to provide an experience that is fresh and engaging. Aside from showcasing works by American artists, SJMA also features spectacular works from artists from around the world. Beauty and artistry are not only at the forefront, but sheer talent, political commentary, and diverse narratives as well. The San Jose Museum of Art is located in Downtown San Jose. It is open Tuesday through Sundays. Click here for more information. History and horror awaits in Winchester Mystery House, a popular attraction in San Jose. Over a hundred years old, this mansion holds a lot of secrets, which makes it one of the more peculiar museums in Silicon Valley. The Winchester House was the former residence of Sarah Winchester of the Winchester rifle fortune. According to urban legend, the Mrs. Winchester was driven to paranoia by the ghosts of those killed by the rifle. As a result, Mrs. Winchester turned the mansion into an estate full of labyrinthine hallways. There are many ways to explore the Winchester Mystery House. The standard mansion tour takes guests to the main areas of the house, while the seasonal Hallowe’en Candlelight Tour makes the museum spookier. Plan your visit here. Learn more about Silicon Valley by browsing our blog. You are also welcome to get in touch with us at 650-489-6251 or info(at)davidandsunny(dotted)com.